Could a wine cellar construction project add value to your Washington DC home? Click above to contact us about your wine cellar construction project in Washington DC today! Wine cellars have evolved. They’ve become so much more than just a practical storage facility for wine. Homeowners now use them as decoration, a do-it-yourself project, or something to simply show off to guests. There are pros and cons to having a wine cellar, and it can have a very meaningful impact on potential buyers. Contact Harvest for your wine cellar construction project in Washington DC. No more whining about that old wine cellar in your basement. According to Forbes magazine, homes with neatly decorated wine cellars are considered “luxury homes” (Huen, 2017). Not only can a wine cellar add a twinge of excitement to your home, but when given a more contemporary or refined look, they can be both luxurious and completely unique. Coupled with an elegant chandelier, decorative glass doors, wooden or concrete shelving units, and a bar, a wine cellar can transform a basement’s dreary atmosphere into a much more pleasant one. Some wine cellars look and feel complete with a bar, but it isn’t always necessary. And of course, not all wine cellars have to look the same. 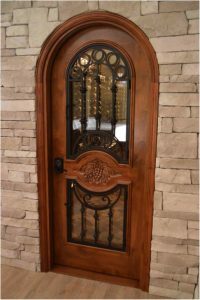 It could have a rustic look, perhaps as if part of a fantasy-like castle surrounded by stone, or maybe even a more modern, sleek appearance surrounded by glass. Having a wine cellar can even make your home appear bigger and more organized, even if it’s just inside a pantry or basement. >>>Learn more about custom wine cellars here. Add a tasting area adjacent to the wine cellar to enjoy your collection with family and friends. Perhaps you’d rather have your wine cellar go unnoticed. It is entirely possible to place a wine cellar underground, complete with a trap door leading to your kitchen. The French company Polycave is known for their custom underground wine cellars. These underground cellars can even be as cheap as $9,000. As for the more obvious, luxury-style wine cellars, the cost can range from $15,000 to $60,000 or more. This can be a well worth investment depending on how well you present it to potential buyers. Some buyers are willing to pay more for a home with a wine cellar because it is unique, and that uniqueness sets that home apart from the others. At Harvest, we can custom create a beautiful design for any style or budget. Show off your style with a custom wine cellar door. 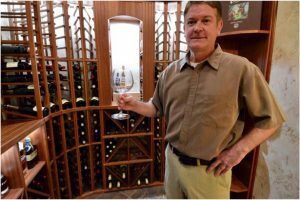 With the endless options of today, wine cellars can range in price depending on what exactly the homeowner wants. Factors to determine the price are size and space, amount of wine bottles, the number of racks or shelves desired, amount of decoration, flooring and doors, and if a temperature or humidity stabilizer is needed. >>>Find the best wine cellar refrigeration system for your project. As long as the wine cellar is a reasonable size, and was built in a cool area such as a basement, there won’t be any unnecessary upkeep. 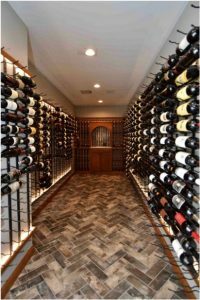 As for having your very own custom wine cellar, Realtor Matt Helm claims that “A custom wine cellar will add to your home’s value because it establishes a compelling space with an emotional appeal for buyers. The buyer’s genuine attachment will generate a high return during resale” (Helm, 2017). “When you resell your custom home, buyers are looking for a sentimental space because it resonates with them on an emotional level. They will become attached to the wine cellar because of its authentic display of interest. 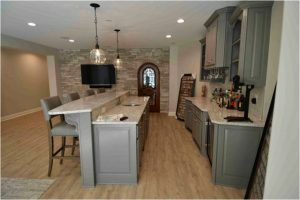 Developing an emotional bond with at least one person is the key to selling your custom home” (Wine Cellar Specialists). It’s important to show potential buyers that you shared fun, real memories in that wine cellar. Not only will your wine cellar construction project be a great conversation starter, but it will establish that you have truly enjoyed your time with the home. This will help buyers connect with your Washington DC property. It only takes a connection with one buyer! CLICK HERE to learn more about how to build a wine cellar. Contemporary meets traditional in this recently completed wine cellar construction project. Add value and functionality to your home with a stunning cellar design. HGTV’s Property Brothers claim that wine cellars might be troublesome if your market isn’t aimed at luxury home buyers. Property Brothers warn, “Don’t build highly specific rooms that can’t be easily changed” (Mai, 2017). However, that doesn’t mean that you should give up on building a wine cellar. Some luxury home buyers even demand a wine cellar be a part of their potential homes. 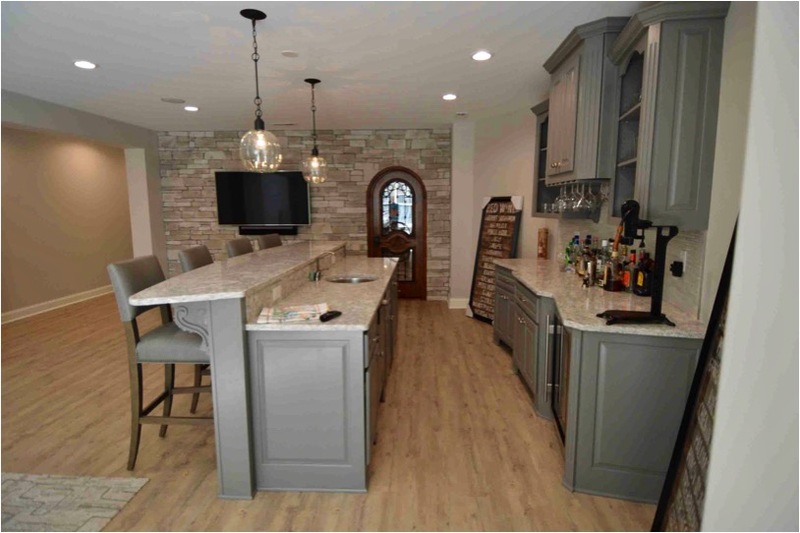 A recent report from the National Association of Home Builders found that among new-home buyers with an annual household income of $150,000 or more, 31% named a wine cellar as their most desired amenity. (Hansen, 2017) Again, this means that potential buyers are willing to pay a premium for your luxury home, simply because a wine cellar is included. Overall, the answer is: yes, having a wine cellar absolutely will add value to your home, but only if the potential buyers are looking for a luxury home. One last thought, from Ruth Eastwood, a market research consultant; “Having a wine cellar does mean we can buy wine before it’s ready to drink, which generally makes it a better value. And even if the cellar doesn’t increase the value of our home, we will get a lot of pleasure out of it” (Hall, 2010). It’s important to know why exactly you want to have a wine cellar in your home. The biggest reason being: because it will, above all, give you and your future guest’s entertainment for years. When planning your next wine cellar construction project, it is important to pay attention to your target market, pay attention to where and how you go about building your own wine cellar and remember to use your wine cellar to connect with potential buyers. At Harvest, we can craft a beautiful design for your Washington DC home.